Wraps are hands-down the most versatile baby carrier on the market. While many babywearers initially find wraps intimidating, finding the wrap love can be a revelation! 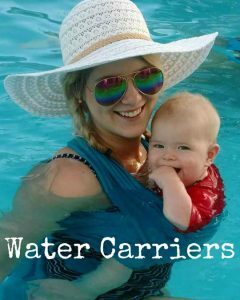 No other carrier offers the comfort and versatility of a great wrap. Carry Me Away offers stretchy wraps (Moby Wrap and Wrapsody Stretch-Hybrid) and woven wraps (Wrapsody Breeze gauze wraps). 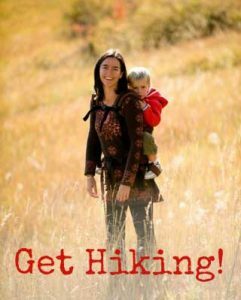 To find out more about wraps, and why you might (or might not) want a wrap baby carrier, read this article for more info. Looking to compare wraps with other baby carriers? Our Baby Carrier Comparison Chart compares all the different kinds of baby carriers so you can narrow down your choice. Having trouble deciding on the right wrap? We also have a nifty little Wrap Comparison Chart to help with that! The XOXO Buckle wrap is a unique carrier that clicks on like a buckle carrier but gives the natural snug hold of a wrap! Easy and beautiful! Beautiful and versatile woven wraps.